Howard and I have been coming to the Florida Keys for the last 15 years and it feels like a new place all over again every time we drive through the beautiful main highway. Nature shows its sunsets and full moons and the many different birds fly over the bridges guiding us on our way, and the turquoise waters of the Atlantic meet with the calm and blue waters of the Gulf of Mexico. 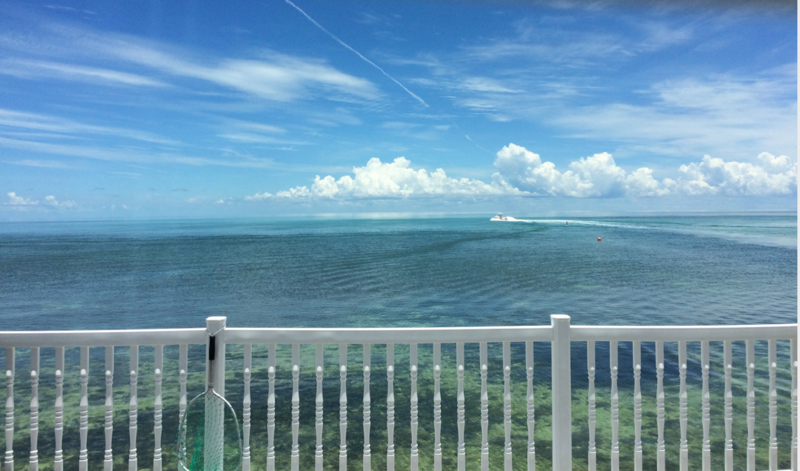 We could not wait to one day move to the Florida Keys and experience this every day…so we did. Three years ago, the island of Marathon became our home sweet home. We have met lots of new friends, eaten at so many wonderful restaurants, and have fallen even more in love with the ocean life. Nature has shown us sea turtles, dolphins and even sharks. All in one beautiful place we call home.